The new 2017 Toyota Camry offers drivers in the greater Los Angeles area access to the latest in advanced technology features, guaranteed to take the drudgery out of the daily commute. Explore the newest tech here, then drop in or fill out our online finance application to get your hands on a new Camry from Marina Del Rey Toyota. Place your Qi-compatible smartphone or other device in the charging dock and power up without messy wires to get in the way. Drivers can use the onboard infotainment system to access their favorite music stations, order movie tickets, make reservations, and get news, weather and more. Avoid traffic nightmares with real-time traffic updates and alternate route suggestions from the integrated in-dash navigation system powered by the available HD radio. The full-color customizable screen provides information about fuel economy, radar cruise control, navigation, incoming calls, and more front and center between the dash gauges. The 2017 Toyota Camry was designed to make each trip better than the last, with advanced features like the new trip information screen that delivers data about your cruising range, average speed, the vehicle’s fuel efficiency and more. This system makes it possible for drivers to adjust their driving habits to maximize the vehicle’s performance. 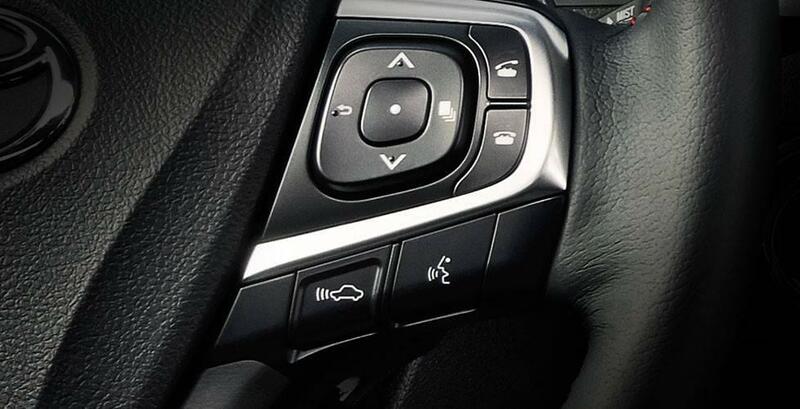 Drivers can also take advantage of the available voice recognition technology to access the Bluetooth hands-free calling system, navigation, and infotainment. Drivers just speak commands in a normal voice, and the system responds, so you can keep your hands on the wheel where they belong. Advanced technology is only the beginning. Learn about the many ways the Toyota Camry was designed to take your daily commute to the next level. From intuitive safety features, to luxurious materials, and potent gasoline and hybrid engines, the Camry is designed to excite. To learn more, contact Marina Del Rey Toyota at (310) 439-9894 or stop by our showroom at 4636 Lincoln Blvd in Marina del Rey, just south of Santa Monica, CA.